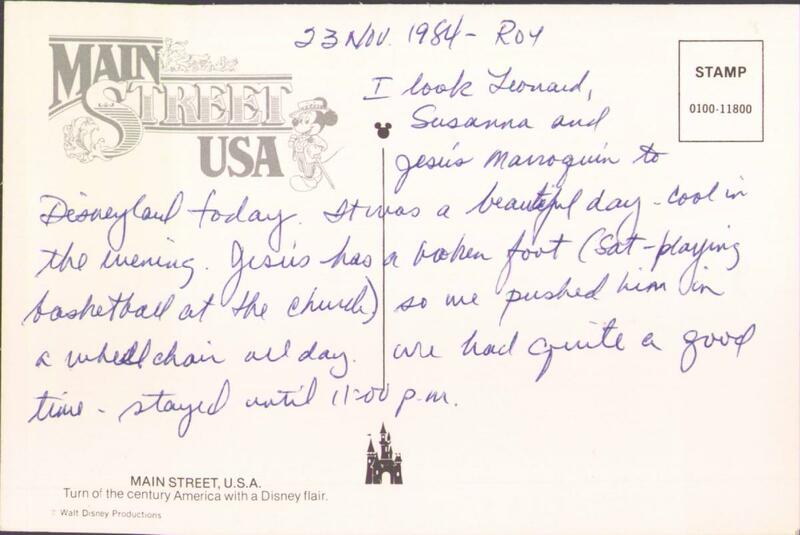 I took Leonard, Susanna and Jesus Marroquin to Disneyland today. It was a beautiful day - cool in the evening. Jesus has a broken foot (Sat - playing basketball at the church) so we pushed him in a wheelchair all day. We had quite a good time - stayed until 11:00 PM. 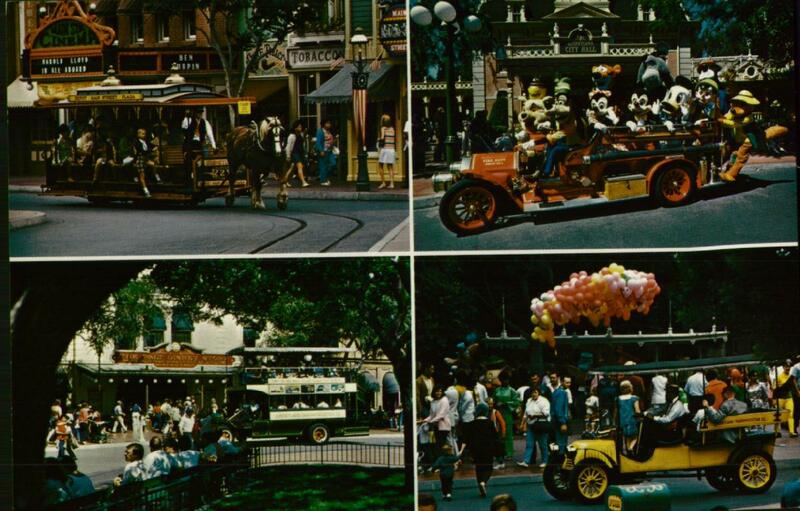 Wow, Disneyland was open that late? And I got to stay out that late? I doubt that authentic turn-of-the-century tobacco shop is still around.